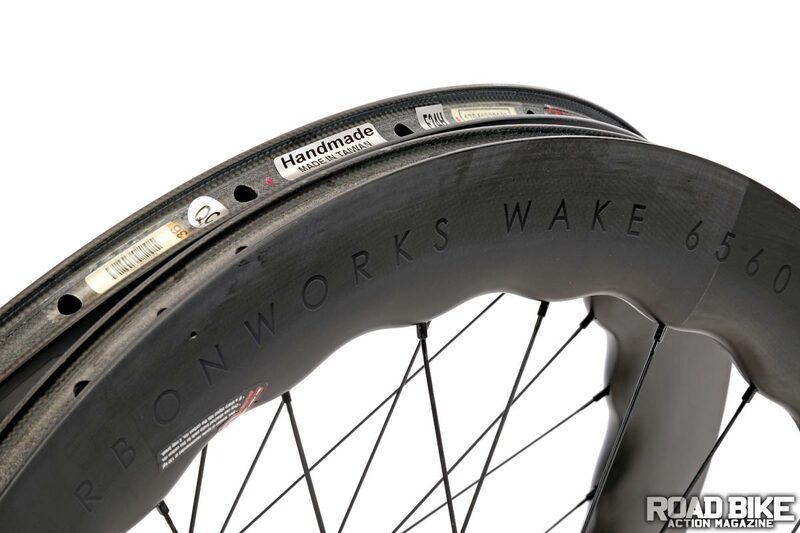 If you had never seen a pair of Wake 6560 wheels before, nobody would blame you if at first glance you mistook them for the Zipp 454 NSW wheelset (RBA, April 2018) that shares a similar wavy profile. Without a doubt, the sinusoidal shape of the Princeton CarbonWorks rim resembles the fin-like shape of the Zipp NSW’s. Princeton told us that although they launched their wheel on the heels of the NSW going public, they had actually been working on the wheel prior to their knowledge of the Zipps. Still, they felt the similar shape validated the claims they were making. We first ran into the lads from Princeton at the North American Handmade Bicycle Show earlier this year. Hoping to prove themselves to the industry, they sent us a pair to test. Looking at the wheels, it’s safe to assume there’s a lot of research that went into the 6560s. The alternating depth of the rim packs more benefits with less weight, plus increased aerodynamics, over traditional rims. The rim fluctuates 24 times (one for each spoke) from a depth of 65mm around the spokes to 60mm in between. The convex peak of the rim is designed to pull rather than compress the carbon where the rims are reinforced at the spoke holes. It is intended to increase lateral stiffness and responsiveness. The valley area of the rim cuts out unnecessary material, obviously. But, the sinusoidal shape also reduces aerodynamic drag. To help prove their science, the wheels were tested at the A2 wind tunnel in North Carolina where, we were told, when matched up against the Zipp 404, it recorded 8 grams less drag, meaning there’s less vortex shedding from the spokes so the wheels will cut through wind quieter and require less power to maintain speeds. 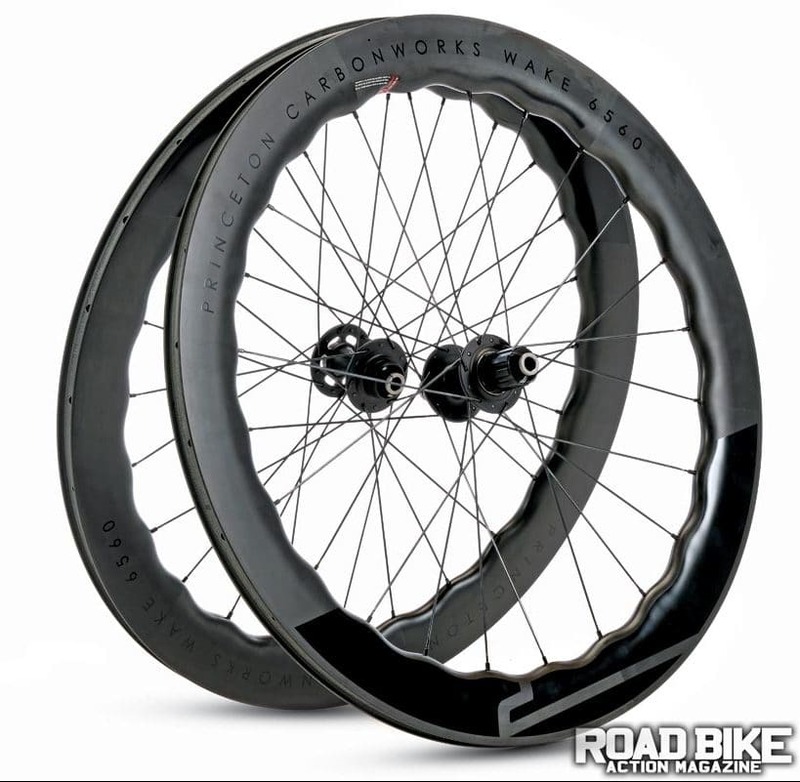 Our wheels were built around a pair of Chris King hubs (with 12mm thru-axles), an upgrade that costs an additional $800. It was also good to know that the Princeton wheels are tubeless-ready (the Zipp 454 NSWs are not). The rim brake versions are also available for $2400. Although Princeton claims that the wheels are “aero optimized” to run 23mm tires, like the rest of the modern world, we’ve long since ditched all our outdated pinner 23s. So, we instead started off with 25mm tires that mounted easily and gave us no problems whatsoever. The Wake 6560s held up to the claims of increased aerodynamics and stiffness at a low weight. These wheels shined on our favorite windy mountain descent. In the crosswind, they were nearly silent and sliced through corners. The effect of the sinusoidal design provided stability and confidence in situations we typically hit the brakes. 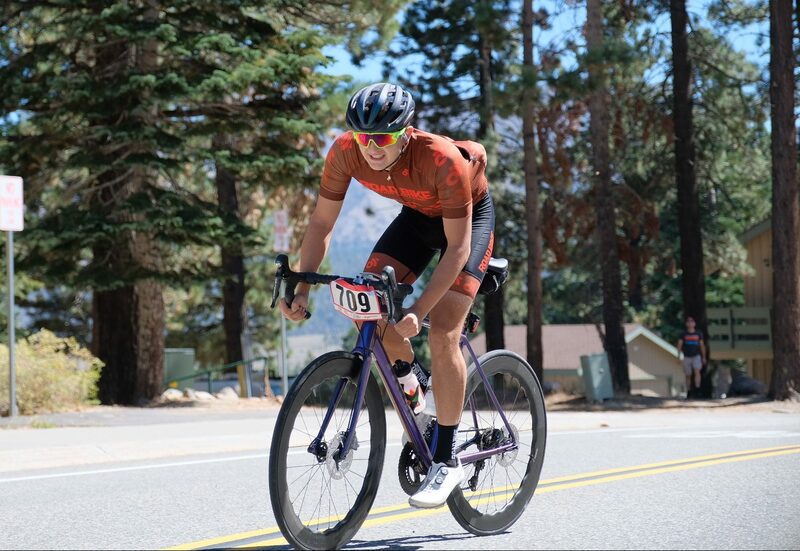 During our race training rides, we noticed how well the wheels maintained their speed and definitely felt an extra oomph at the end of the ride to contest the sprint. The watts saved by the wavy design prove the claims of all the aero junkies—that being aero is more important than being light. That the Wake wheels also weigh near 1600 grams is really impressive for a wheelset that is this deep.